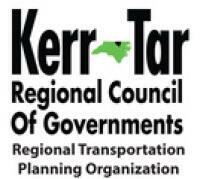 Franklin County is served by two transportation planning agencies: the Capital Area Metropolitan Planning Organization (CAMPO) and the Kerr-Tarr Regional Planning Organization (KTRPO). In 2005, CAMPO expanded its boundaries to include portions of southern Franklin County, including the towns of Bunn, Franklinton, and Youngsville. 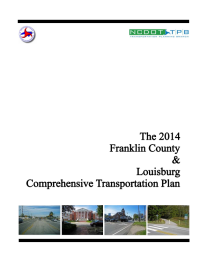 The KTRPO serves Centerville, Louisburg and northern Franklin County. These agencies form a cooperative effort of local and state transportation planning officials working to make sure our transportation network is efficient and complete. In addition to working with municipalities, these Planning Organizations act as liaisons between local agencies, the North Carolina Department of Transportation, and the Federal Highway Administration. 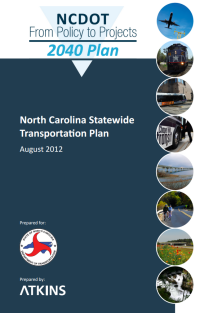 The State Transportation Improvement Program (STIP) was created by the North Carolina General Assembly through the Strategic Transportation Investments (STI) Law with the intent to provide funding for roadway, public transportation, bicycle, pedestrian, rail, and aviation projects. Each MPO, RPO, and NCDOT Division submitted a list of scores based on the Mobility Formula generated by the STI. In December 2014, the NCDOT released a funding schedule consisting of over 1,100 total projects. 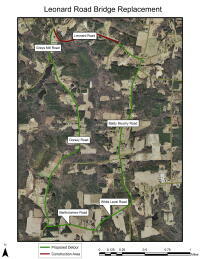 These projects were broken down by NCDOT Division (Division 5), and planning agency (CAMPO). 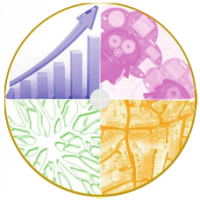 The following projects have either been recently completed, are under construction, are scheduled to receive funding, or are targeted to receive funding sometime in the future. Franklin County is named in various other projects applied for through Division 5, CAMPO, and KTRPO regarding CMAQ, public transit projects, agency funding, purchase orders for existing projects, feasibility and environmental studies, etc. These projects are under construction, are scheduled to receive funding, or are targeted to receive funding sometime in the future. The list above are projects most likely to impact Franklin County residents on a daily basis. The North Carolina Department of Transportation maintains 861 miles of roads in Franklin County. Check back to see which roads will be impacted by construction projects. The following state-maintained roads are currently being resurfaced by the NCDOT. All resurfacing projects are projected to be completed by the end of July, 2015. 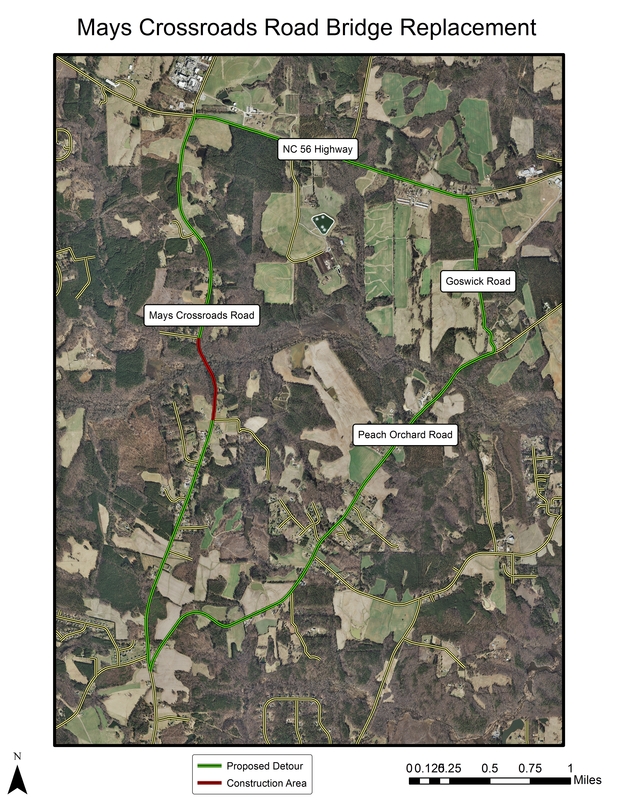 NCDOT is currently making safety improvements to West River Road (SR 1211) from Louisburg town limits to Franklinton town limits, including shoulder widening and resurfacing. The project is 52% complete and all enhancements will be finished by September 30, 2015. 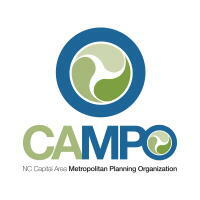 The Capital Area Metropolitan Planning Organization (CAMPO) recently completed an update to the US 1 Corridor Study, combining Phases 1 and 2 into a single plan. Since the completion of the original study, development along the corridor has intensified and new challenges are present. 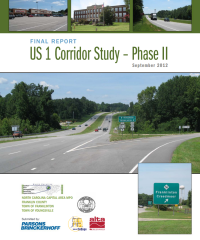 Initially, the first phase extended from Interstate 540 in Raleigh to US 1A in Youngsville, an the second phase continued from US 1A to the Vance County line. 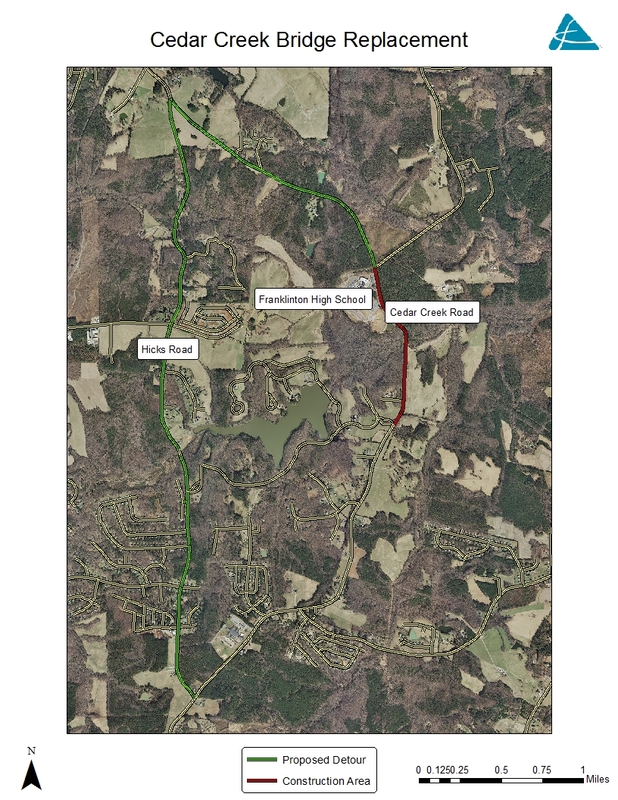 The bridge on Cedar Creek Road (State Road 1116) that travels over Cedar Creek is scheduled to be replaced. Construction has begun, with grading and drainage improvements being the first phase of the project. Many residential lots, as well as Franklinton High School, will be affected by this project. Please see the suggest detour route below. The North Carolina Department of Transportation awarded a contract worth $1.6 million to the S.T. Wooten Corporation. NCDOT Resident Engineer: E. Body Tharrington, PE, 919-562-7000. The bridge on Leonard Road (State Road 1451) that travels over Sandy Creek is scheduled to be replaced. Construction has begun, with grading and drainage improvements being the first phase of the project. Many residential lots will be affected by this project. Please see the suggest detour route below. The North Carolina Department of Transportation awarded a contract worth $492,000 to the Smith-Rowe, LLC. NCDOT Resident Engineer: E. Body Tharrington, PE, 919-562-7000. 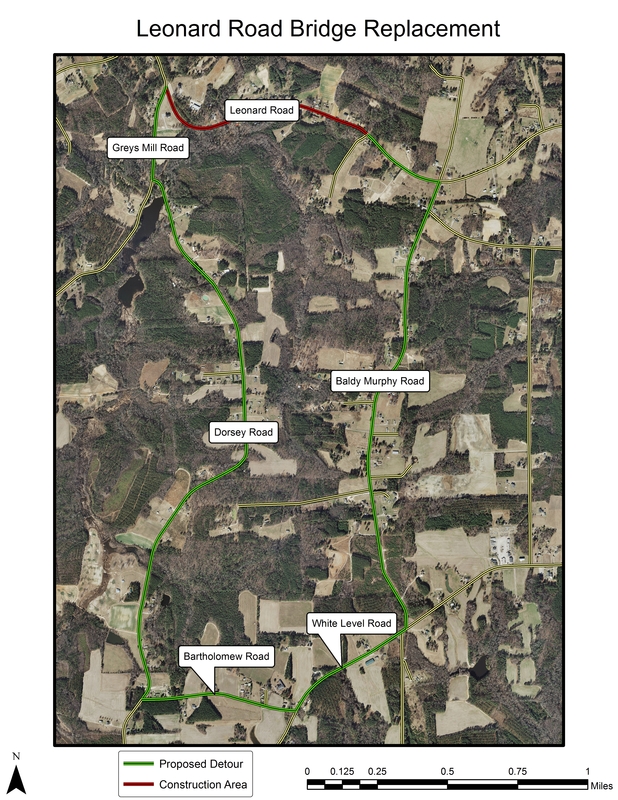 The bridge on Mays Crossroads Road (State Road 1105) that travels over Cedar Creek is scheduled to be replaced. Construction has begun, with grading and drainage improvements being the first phase of the project. Many residential lots will be affected by this project. Please see the suggest detour route below. 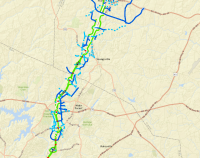 The North Carolina Department of Transportation awarded a contract worth $781,000 to the Smith-Rowe, LLC. 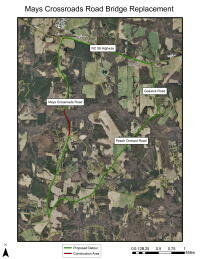 NCDOT Resident Engineer: E. Body Tharrington, PE, 919-562-7000.